Student should have secured admission to a higher education course in recognized institutions in India or Abroad through Entrance Test/ Merit based selection process after completion of HSC (10 plus 2 or equivalent). Courses conducted by IIM, IIT, IISc, XLRI, NIFT, NID and other Institutes set up by Central/State Govt. Note : Professional courses not approved by AICTE and conducted by Institutes not recognized by State Universities is outside the purview of the eligibility under the scheme. Courses conducted by CIMA - London, CPA in USA, etc. Caution deposit/ building fund/ refundable deposit supported by Institution bills/ receipts. Studies abroad - Maximum Rs.20.00 lakh. Scholarship could be included in margin.· Margin to be brought in on year to year basis as and when disbursements are made. Above Rs.7.5 lakh : Co-obligation of Parents together with tangible Collateral security of suitable value along with the assignment of future income of the student for payment of installments. Note : The security can be in the form of land/building/Govt. 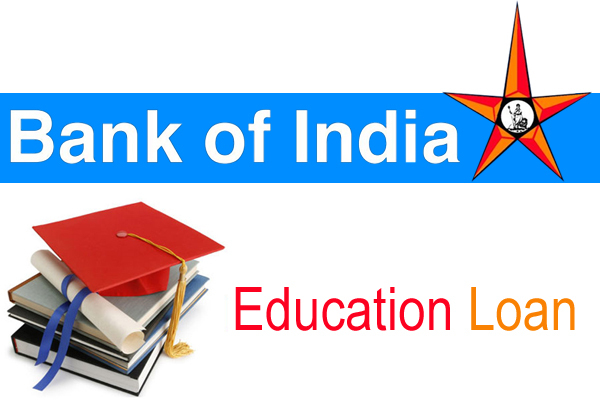 Securities/Public Sector Bonds/NSC/KVP/LIP/ Banks Term Deposit etc., in the name of Student/ Parent/ Guardian/Guarantor with suitable margin. All the student borrowers are offered a specially designed OPTIONAL Term Insurance covers and the premium can be included as an item of finance.